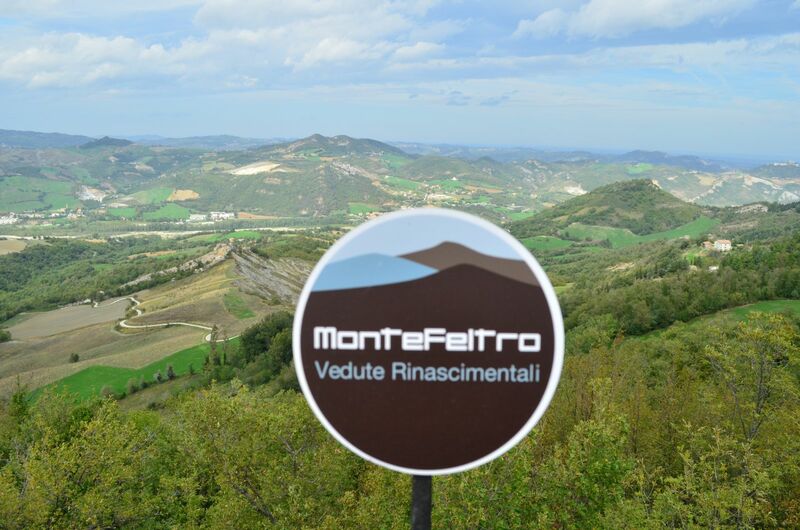 The landscapes that inspired the Renaissance painter, are hidden in the hills of Montefeltro. 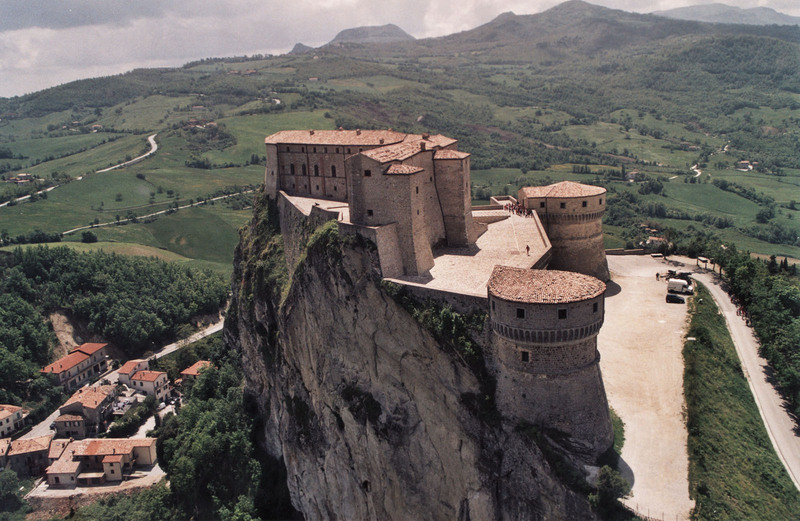 This is the thesis of some scholars who have identified the landscapes that inspired Piero della Francesca. Battista Sforza (the “Diptych of the Dukes” – Florence, Uffizi)The vanishing point of the representation, a “bird’s eye”, is located on the cliff Pietracuta, not far from San Leo. 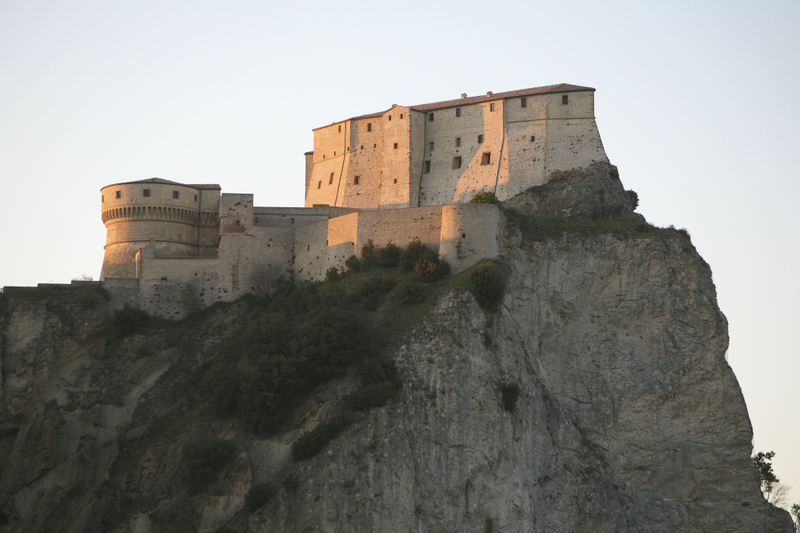 Battista was particularly close to that place because in 1462, surprised by a sudden winter, stayed at the castle on the cliff. Piero, therefore, could not have chosen a most suitable place to represent the backdrop of the Duchess. From the Rupe, Piero embraces a vast territory that, up the river Marecchia fades slowly up to the tops of the neighboring Tuscany. 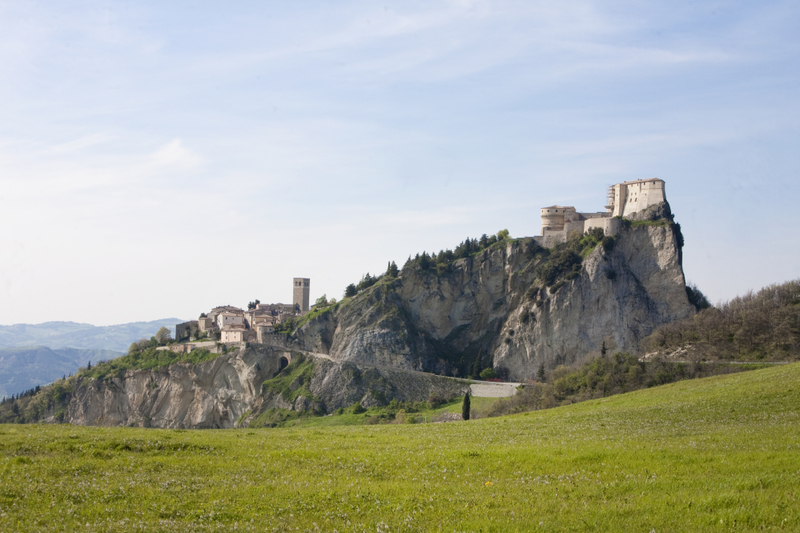 From the plain of the river appears a landscape of pinnacles, rocky ridges, scaly clay, sharp peaks, formerly bare and garnish with castles or towers, albeit different from the earth sweet and delicate of Urbino, of undoubted and spectacular beauty. Today, if you look at the aerial image created from the new study and overlaps the backdrop of the painter, the correspondences are amazing. 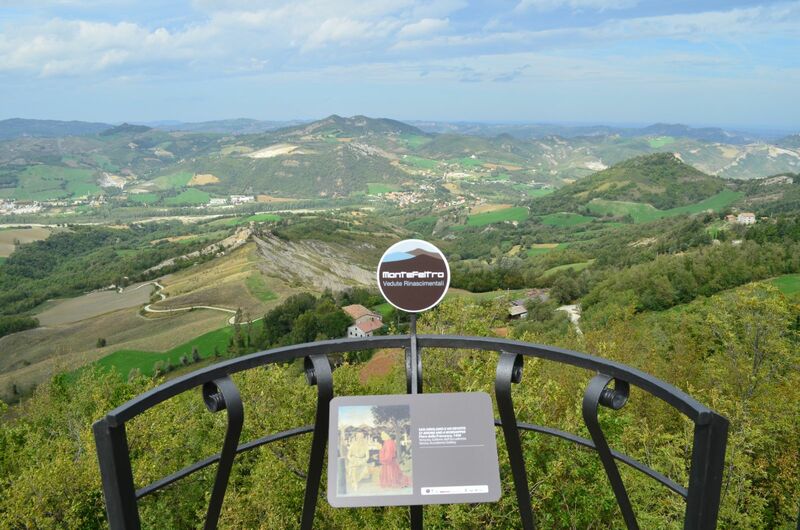 In fact, the BALCONY set up on Mount Gregory today not far from San Leo, does not match with the original one of Piero. In fact, it had to opt for a different place not too far from Pietracuta that would allow for the higher altitude, a broader possible view. St. Jerome and Devoto (Venice, Academy Gallery). Behind the scene with St. Jerome and Devoto, appears a different curtain of the Valmarecchia. This sector is the most valley from Mount Ceti up in Montebello which fades into the Adriatic Sea. The landscape is hilly with a fortified village in the foreground. It is a model of fortified citadel, probably Sansepolcro, the birthplace of Piero which he often introduces in his works’ backdrops.The vanishing point is, like that of the Baptist, in the ridge of Mount Gregory, and, unlike the three backdrops of the Diptych, in this work, the artist does not take an aerial perspective but only overview.While the backdrop of the Baptist rises to the Altamarecchia and Tuscany, that of St. Jerome, down, is fading to the Adriatic. It can be said that by assembling two backdrops you get the entire Valmarecchia.